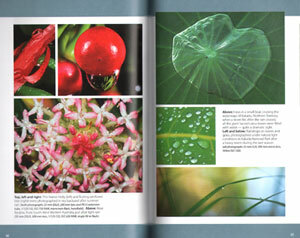 Flora photography: a wild Australia guide. 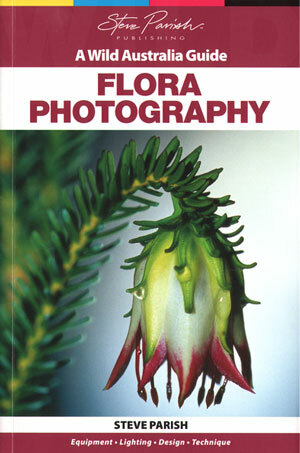 Steve Parish shares his extensive knowledge of flora photography and provides information on equipment, light, design and technique. A section on digital post production is also included. Steve Parish Publishing, Small octavo, paperback, colour photographs. Photographing pattern and design in nature: a close-up guide. 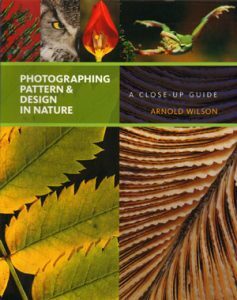 This book contains many amazing images of patterns in nature as well as the information to help guide you towards making your own. Aimed at people who have used a camera before, but are looking to expand their knowledge, or for those who just want to have a go, it covers choice of camera, use of lenses, composition and the consideration of light and exposure. It also looks at types of pattern, symmetry and texture through the use of photos and could be used as a source of inspiration for other photographers and artists, through all the fabulous photos of patterns found in animals, leaves, insects, flowers and minerals amongst other subjects. 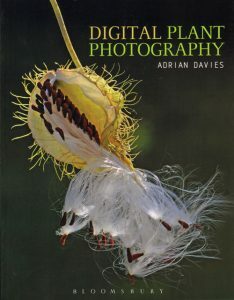 This beautifully illustrated guide is aimed both at photographers wishing to use plants as a rich source of subject matter, and at naturalist gardeners who want to use digital cameras to record plants in a meaningful yet attractive way. Numerous practical skills are clearly explained, from basic photography to more complex time-lapse and high-speed techniques. Unlike other guides, this book does not focus solely on flowers; equal prominence is given to seeds, leaves, pollen, wood and trunks, as well as to broader compositions. Artist/Author: Gerlach, John and Barbara Gerlach. 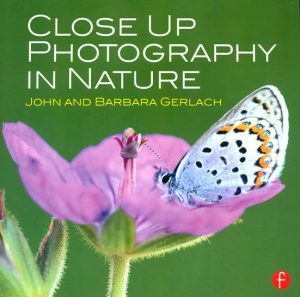 Best-selling authors and accomplished nature photographers, John and Barbara Gerlach share the tips and techniques necessary to successfully photograph the world’s natural beauty. 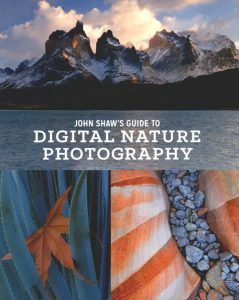 This book begins with a brief overview of the fundamentals before delving into some of the more advanced and unique challenges of close up photography. Topics covered include: advanced flash techniques specific for close up shooting, as well as a discussion on focus stacking strategies and tilt-shift lenses for getting maximum depth-of-field. The Gerlachs also discuss their strategy of mixing flash with natural light when shooting close up, which opens up all sorts of photographic possibilities – opening up shadows, creating shadows, separating the subject from the background, reducing contrast between the subject and the background, improving the colour rendition, shooting sharper images, and much more. This book will change the way you see the world as well as the way you share it through your photographs.